Can Bartenders Still Work As They Get Older? 40’s, 50’s, 60’s? Bartending is a true profession & can be a lifetime career until retirement for many people. That is If the person is really good at their job & healthy. 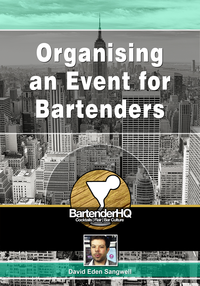 With all the different types of bars in the world that need bartenders…casinos, resorts, hotels, neighborhood pubs, casual restaurants, fine dining restaurants, nightclubs, cruise ships... not to mention working special events, weddings, trade shows, etc.…. I strongly believe that Bartending isn’t only for “Twenty Somethings” working in a hip hop dance nightclub for other “Twenty Somethings”. Founder of www.ExtremeBartending.Com , www.TheBartendingMasters.com, and www.NightclubBarAndRestaurantTraining.Com, me :). A few years ago, I was involved in a bad car accident and court case where the insurance company was arguing against this. They were trying to convince me that I was really too old to work a bar job anymore. I think they’re quote was something insulting like, “ Well, bartending is for young good looking people isn’t it? And you’re getting older so even if you could bartend now how many years could you really do it?" ( I couldn’t because of injuries after my car was rear ended by a cement truck ). The big bad insurance company was of course trying to minimize what they would have to pay out. So, I posted this question on my Facebook Page & a few of my groups on Linkedin to find out and have some actual evidence from real people to back it up. We got some really great answers so I wanted to keep the discussion going here on my blog. 1) Are you bartending and How old are you? 2) How do you find that your age, old or young, affects your performance, the way staff, customers and managers treat you? 3) Do you know of any older bartenders than you? How are they doing? 4) Stories to share? We’d all love to hear them. Same questions about Waiters/Waitresses/Servers etc. and Bartending & Customer Service Trainers?